Bee's Circus: 493. Mama Style. 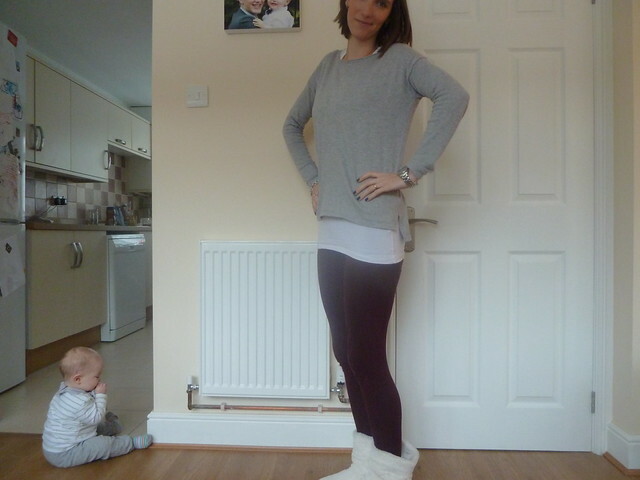 Mama: Leggings, Tesco // White t-shirt, Primark // Jumper, H&M. 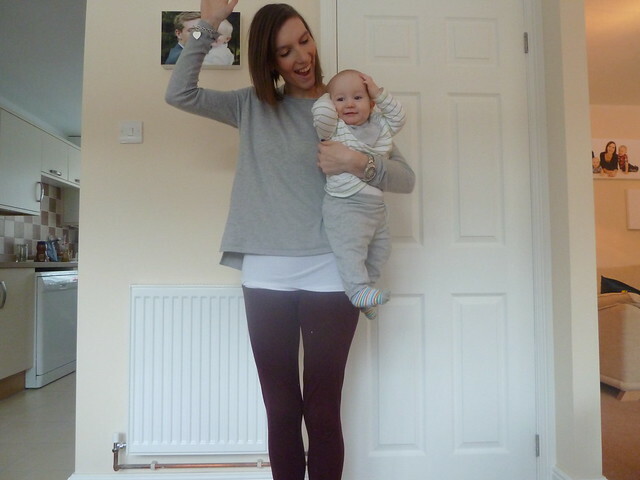 Joshua: Striped tee & bib, Tesco // Trousers, H&M. Another nursing-friendly style post. 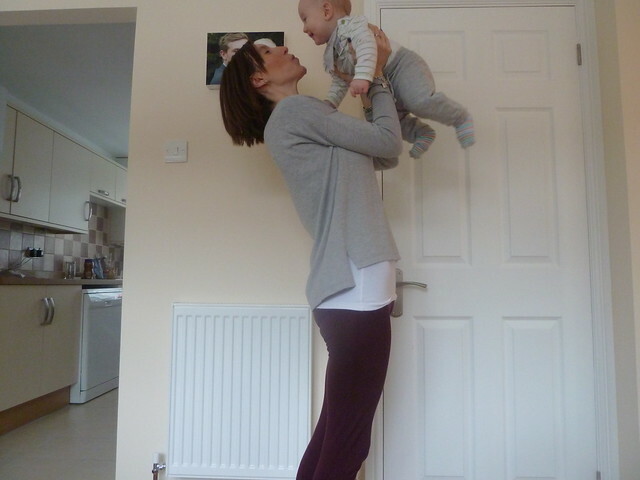 I think I've mentioned before how I prefer easy-up styles to breastfed in, rather than tops or dresses that are easier to pull down, just because I feel more comfortable. 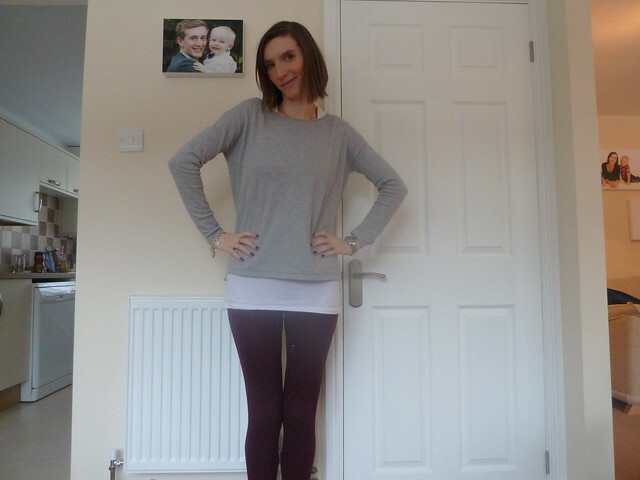 This jumper is one of my favourites, loose and comfy, perfect paired with leggings or skinny jeans. I think leggings are my 'yoga pants' as I often put them on when I want to be comfy and lazy but I'm not really a sweatpants kind of girl! 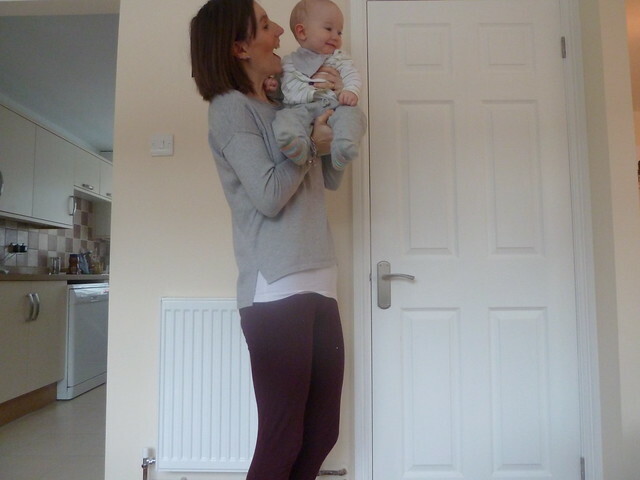 I'd prefer to just stay in my pyjamas, but sometimes I have to leave the house so leggings are the perfect alternative, and these wine coloured ones are a nice alternative to black without being too OTT. 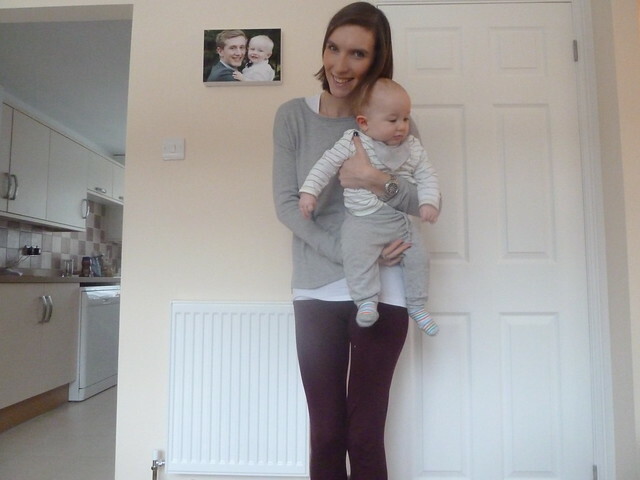 Joshua is definitely a sweatpants kind of boy, he has this particular pair in three colours, and I just can't resist a baby in stripes! 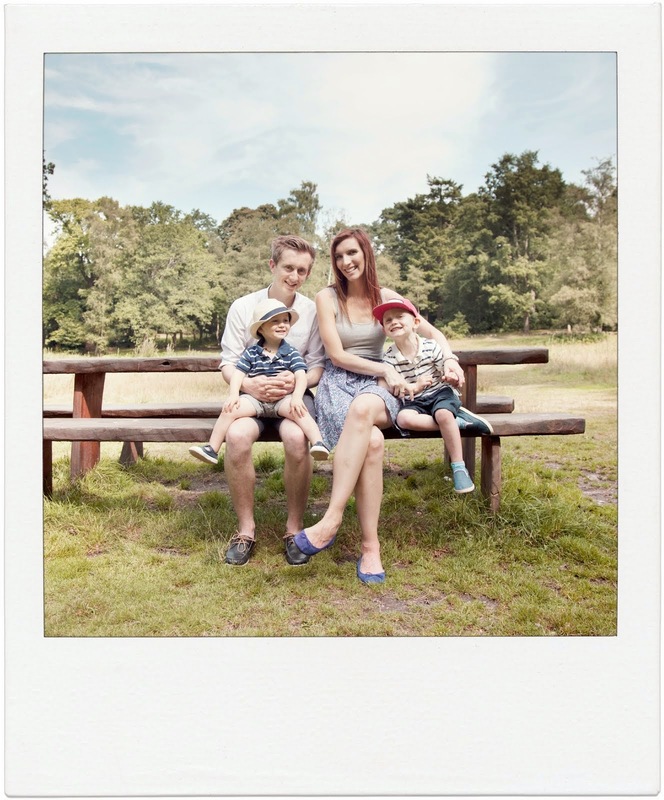 Love these photos :) So cute. You can see the love in them.